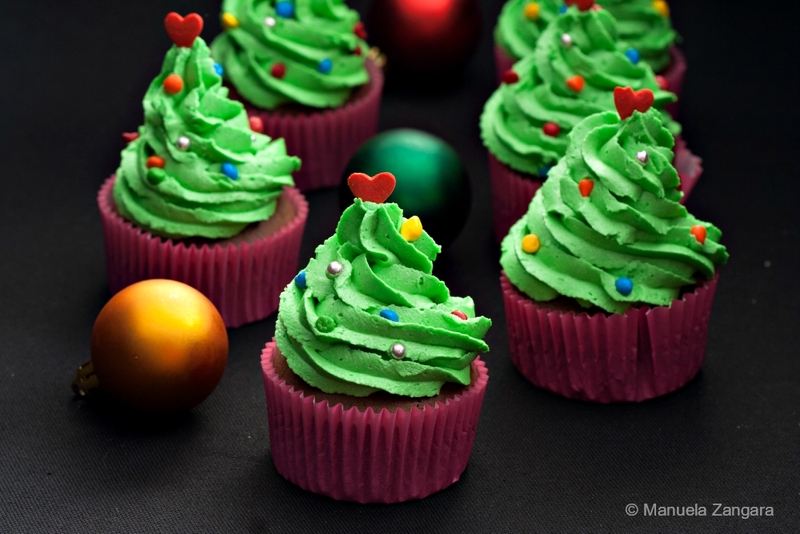 These Christmas Tree Cupcakes are so much fun to make! I baked chocolate cupcakes to use as the base of the tree and then topped them with green vanilla buttercream to make the tree. To decorate the “tree” you can use anything you like. I used mini chocolate chips of different colours, silver pearls and chocolate heart (but stars would work great too here). These were an absolute hit, especially with the children! They look great and they are very easy to make… exactly what you want to bake during the holidays. It is also a great project to make together with the kids if you so desire. Enjoy! 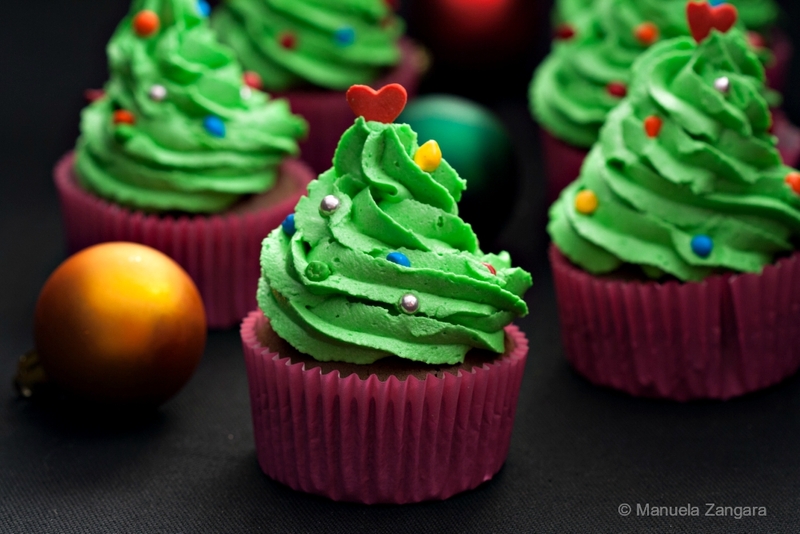 Christmas Tree Cupcakes – delicious chocolate cupcakes topped with green vanilla buttercream to make them look just like a Christmas tree! Beat the softened butter with an electric mixer fitted with a paddle attachment for a few minutes and then slowly incorporate the icing sugar, vanilla extract, and green colour. Mix well. Put the vanilla buttercream in a piping bag fitted with an open star tip (I used 1M Wilton) and decorate the chocolate cupcakes with it to form a Christmas tree. Add the mini coloured chocolate chips, silver cachous/pearls, and top with sugar hearts. 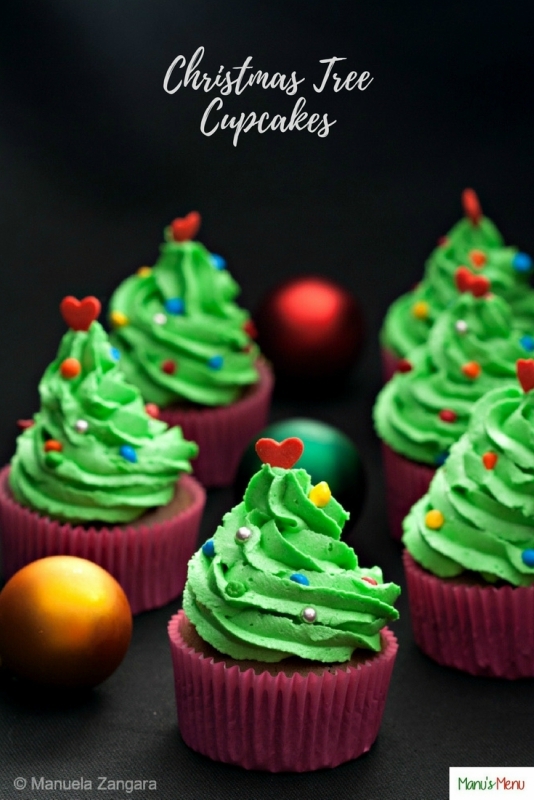 I love to make Christmas cup cakes; it looks so yummy!! Thanks for sharing .